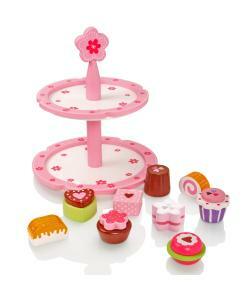 Delightful pink and white wooden cake stand toy featuring 9 beatifully painted wooden cakes and biscuits. 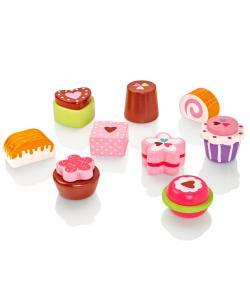 Perfect play food set for any play kitchen. 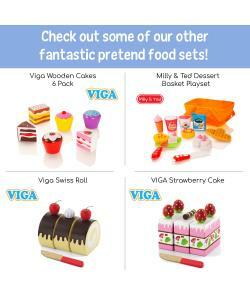 Each cake has been individually designed and painted to look fun and realistic. 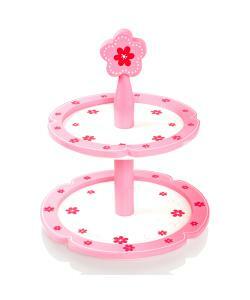 This floral themed stand has two tiers and is topped with a flower on its central pillar. 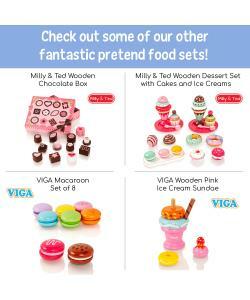 The two tier play food set includes a selection of nine cupcakes, biscuits and cookies, all tempting looking wooden treats. Made from quality responsibly sourced materials, all Milly & Ted toys conform to all current EU safety standards. 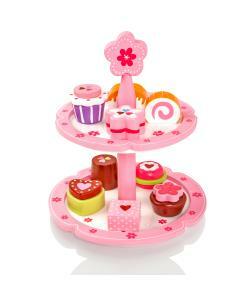 Allow your little girls to hold there tea party with the Milly & Ted Cake Stand. 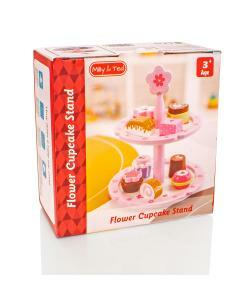 It is a stunning 2 tier stand with a flower shape artwork to it. 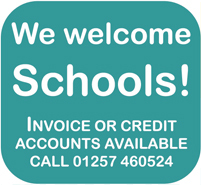 This encourages your child to develop imaginative skills, social skills , numerical skills as well as communicative skills.